The CSB Large Print Ultrathin Reference Bible is easy-to-carry and easy-to-read, featuring a robust center-column cross-reference system, large easy-to-read 9.5-point type, and a portable ultrathin design that is perfect for devotional reading, personal study, or to carry and use at church. The large print type also makes this Bible great for pulpit use, and easy-to-read for those with diminished or impaired vision. Features include: Smyth-sewn binding, Presentation page, Two-column text, Center-column cross-references, Topical subheadings, Black letter text, 9.5-point type, Concordance, Full-color maps, and more. The CSB Large Print Ultrathin Reference Bible features the highly reliable, highly readable text of the Christian Standard Bible (CSB), which stays as literal as possible to the Bible s original meaning without sacrificing clarity. The CSB s optimal blend of accuracy and readability makes Scripture more moving, more memorable, and more motivating to read it today and share it always. 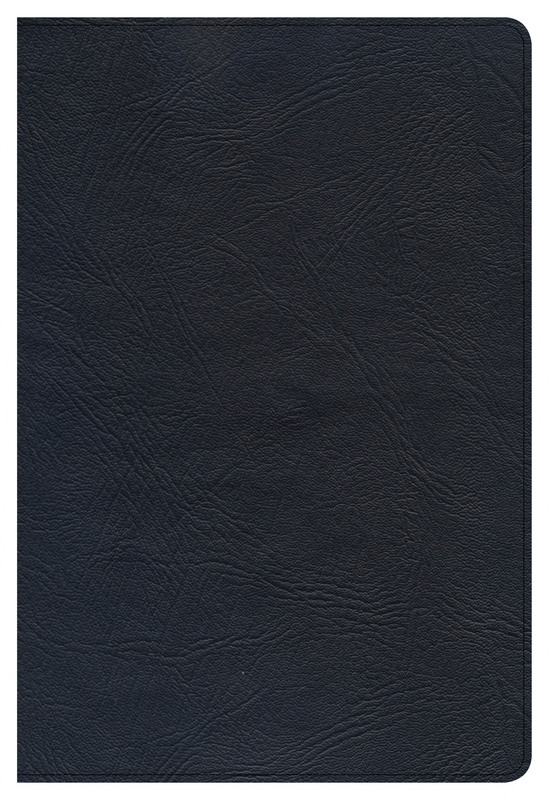 CSB Large Print Ultrathin Reference Bible, Black Premium Lea by Holman Bible Staff, was published by Holman Bible Publishers in March 2017 and is our 43340th best seller. 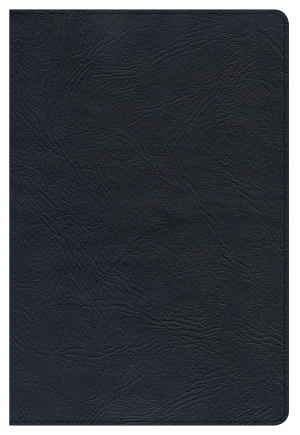 The ISBN for CSB Large Print Ultrathin Reference Bible, Black Premium Lea is 9781433648434. Be the first to review CSB Large Print Ultrathin Reference Bible, Black Premium Lea! Got a question? No problem! Just click here to ask us about CSB Large Print Ultrathin Reference Bible, Black Premium Lea.